Hello Friends! I have another free to use pattern to share with you today, just in time to get ready for “Back to School” in a couple of months! 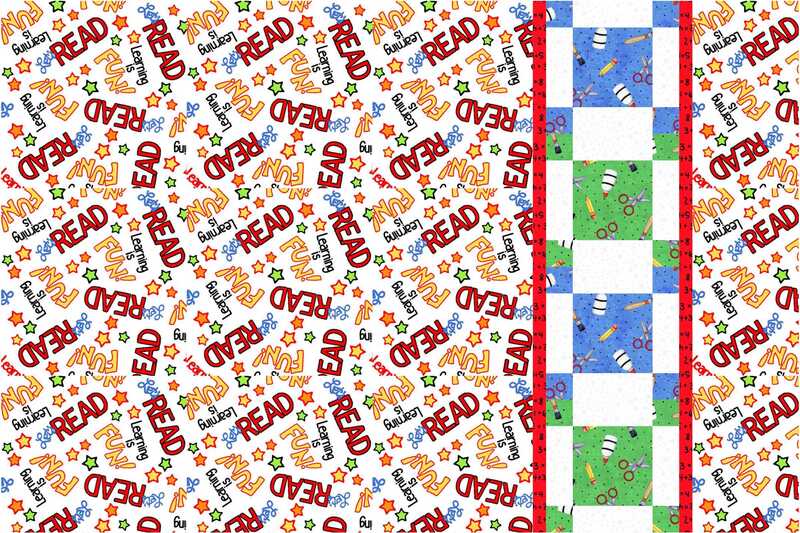 Here is my Learning is Fun twin-sized quilt I designed for Quilting Treasures, using their Learning is Fun fabric line. I see this quilt as a special gift to that child who is entering Kindergarten or First Grade, or for the child who is simply excited about school! There is also a matching pillow case. 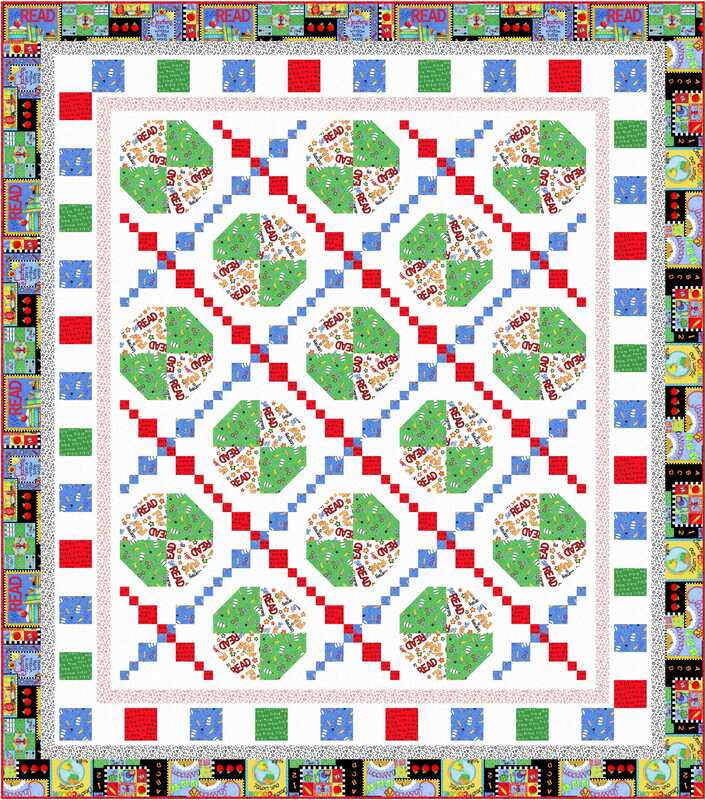 Click here to download quilt instructions. Click here to download pillowcase instructions. Thanks for stopping by, Friends! I shall catch up with you tomorrow. 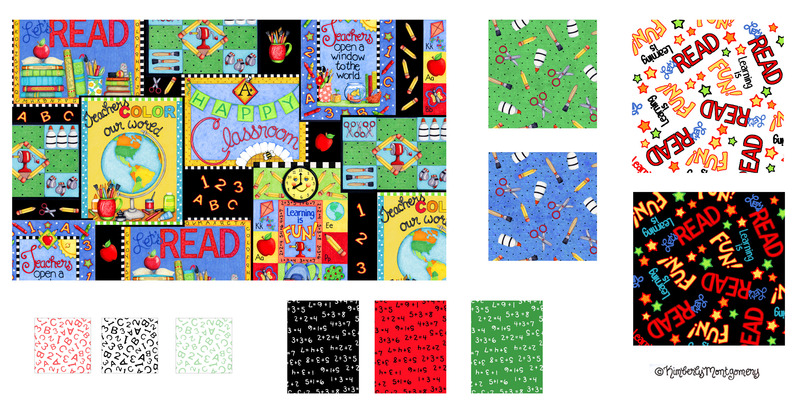 This entry was posted in Quilt Pattern, Quilting, Quilts: Pieced and tagged Back to School Quilt, Free Quilt Pattern, Quilting Treasures Learning is Fun Fabric Line. Bookmark the permalink. Cute pattern!! Love the entire line of fabrics. Makes me want to teach again. It would be so much fun to display it in a classroom or a library. Hmmm, maybe my reading grandkids would like to cuddle under it. Thanks Wendy. Thank you very much for your generous sharing free pattern. That is a cute line of fabric and your pattern is delightful. Thanks, Wendy.